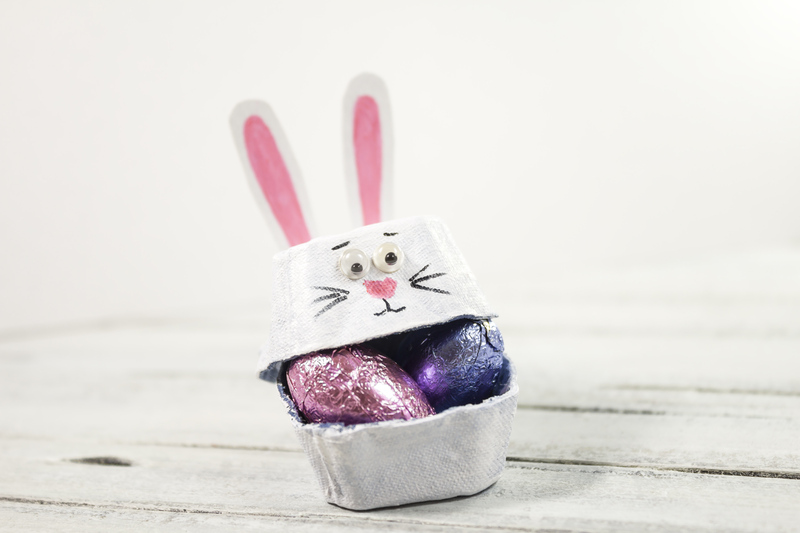 Make this easy Easter Bunny with the own kids for Easter this year. 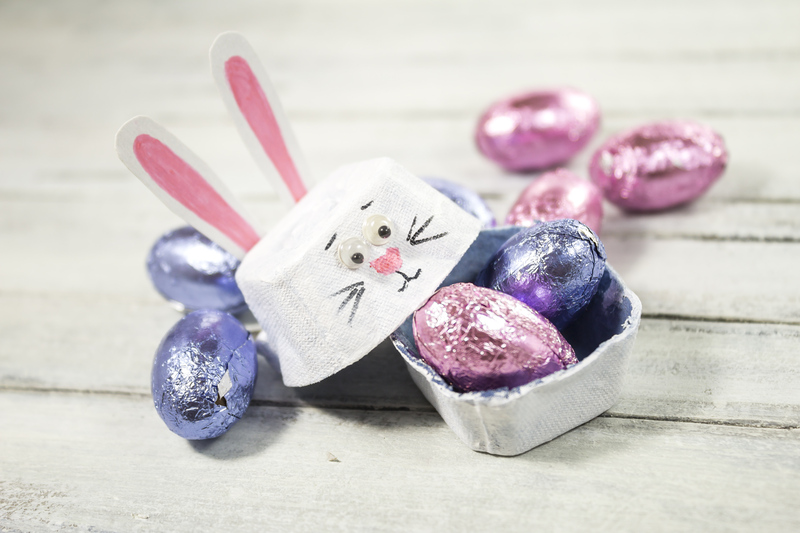 Give as a small Easter Gift filled with some chocolate eggs. Cut two egg compartments and trimming off any excess to create a flat top to the cartons. Paint the egg cartons a white color. Cut and glue two ears, glue eyes and tail, draw the nose and whiskers. 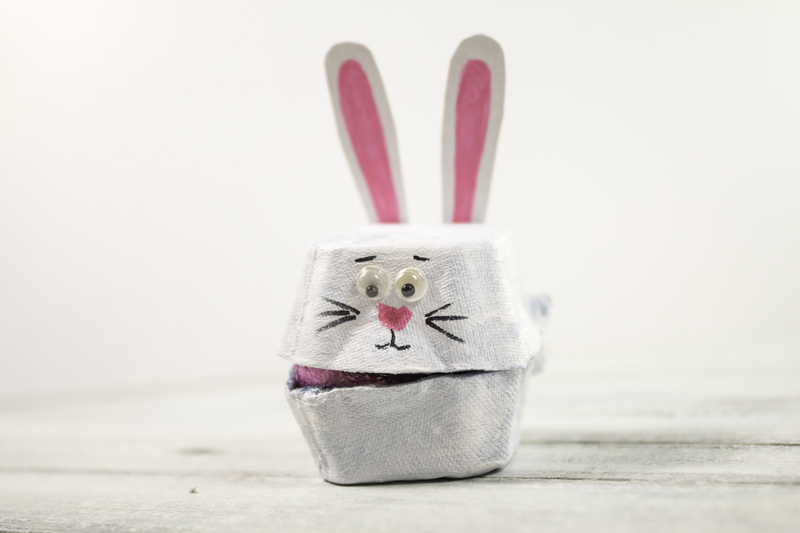 This entry was posted in DIY, Kids Craft and tagged box, bunny, easter, egg carton, kids craft. 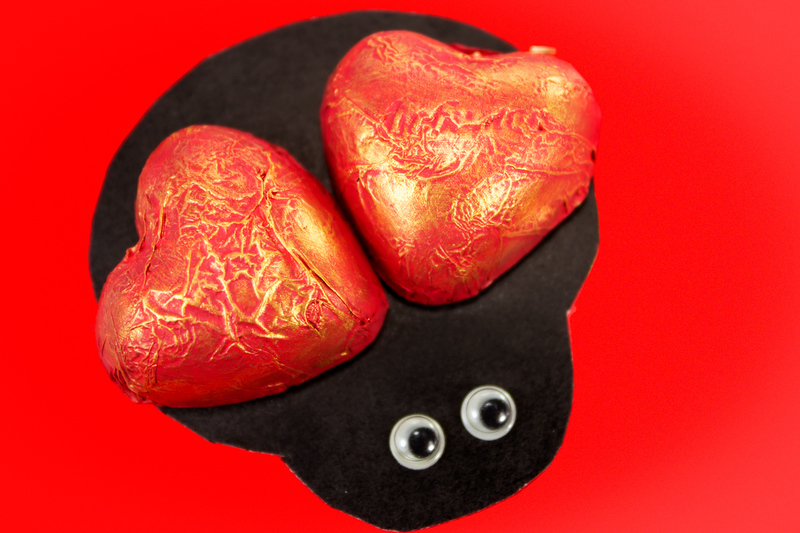 Cute and easy craft project is perfect for Valentine's Day.